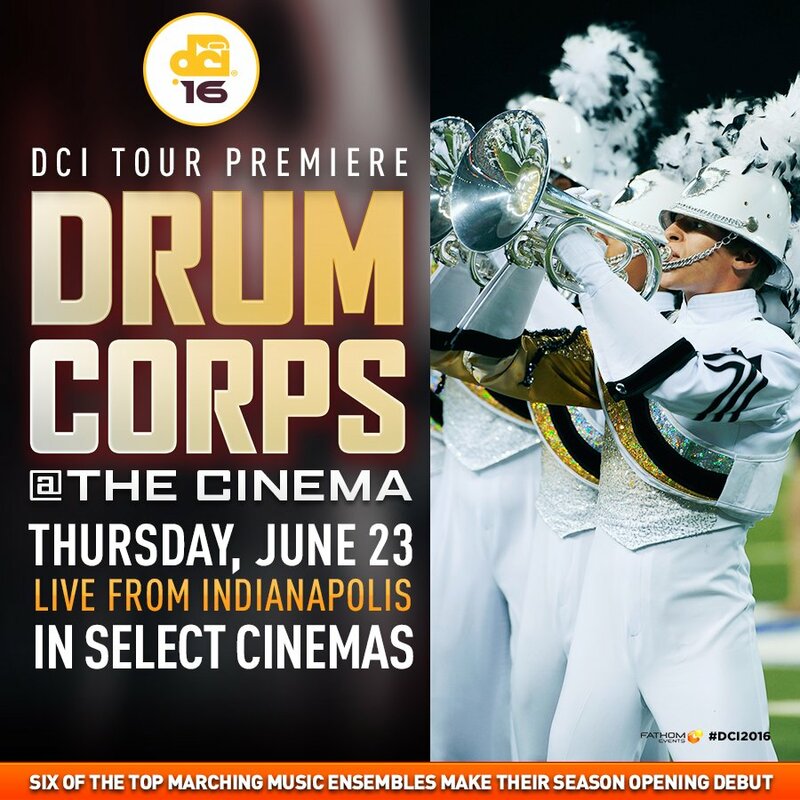 DCI Tour Premiere in the Theaters Thursday! See Regiment & 5 Other Corps. The DCI Tour Premiere is happening once again on Thursday June 23rd at a theater near you at 8:30pm ET / 7:30pm CT / 5:30pm / PT. See six corps go head-to-head in the DCI Tour Premiere in the first competition of the year at Lucas Oil Stadium in Indianapolis. The Regiment’s held their dress rehearsal performance with a packed house at Stillman Valley High School this past Sunday night. We will hit the road for our 2016 national tour on Tuesday as we head to Indianapolis. If you’re not going to make it to Indy for our first show, the movie theater is the next best thing to see us LIVE!